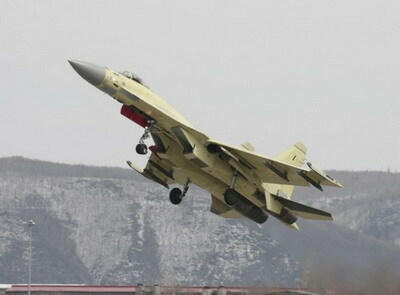 The U.S. has begun to warn the Egyptian government over a reported plan to purchase the Su-35 fighter jet. He added that Washington could enact sanctions on Egypt – via the Countering America’s Adversaries Through Sanctions Act of 2017 (CAATSA) – if it goes through with the purchase. The comments from the senior official come as Egyptian President Abdel Fattah el-Sisi visits the U.S. for high-level dialogue. Last month, Kommersant reported that Egypt bought “over two dozen” Su-35s in 2018. The contract for the buy is said to be around $2 billion, with deliveries planned to start in 2020-2021. Kommersant noted that production of the jets had already begun. However, later in March, Rosoboronexport denied that a contract had been inked. Rosoboronexport deputy head Sergei Kornev told Interfax that Russia remains ready to supply the aircraft, but indicated that a deal had not been finalized. The U.S. has already sanctioned China, as well as Su-35 producer Komsomolsk-on-Amur Aircraft Plant, over Beijing’s recent acquisition of the Su-35 and the S-400. Additionally, the U.S. has sought to pressure Turkey over its effort to procure the S-400.